Our Chairman - Dr. Sandeep Pachpande with Mr. V. G. Narayanan, Harvard Business School. Mumbai, December 15, 2016: Audyogik Shikshan Mandal (ASM) today became the first Indian b-school to collaborate Harvard Business School for its HBX CORe. HBX is a digital learning initiative powered by the faculty of Harvard Business School and CORe is a multi-week online program designed to teach the fundamentals of business thinking. Select ASM students will get to participate in HBX CORe starting 2017. CORe includes coursework in business analytics, economics for managers and financial accounting taught using the Harvard Business School case-study method with over 12,000 students worldwide already benefiting from it. Throughout the program, ASM students will engage with a global cohort of CORe participants on HBX online platform, further enhancing their business acumen development. “We are excited to welcome ASM students to the CORe program and to share with them the Harvard Business School way of learning. 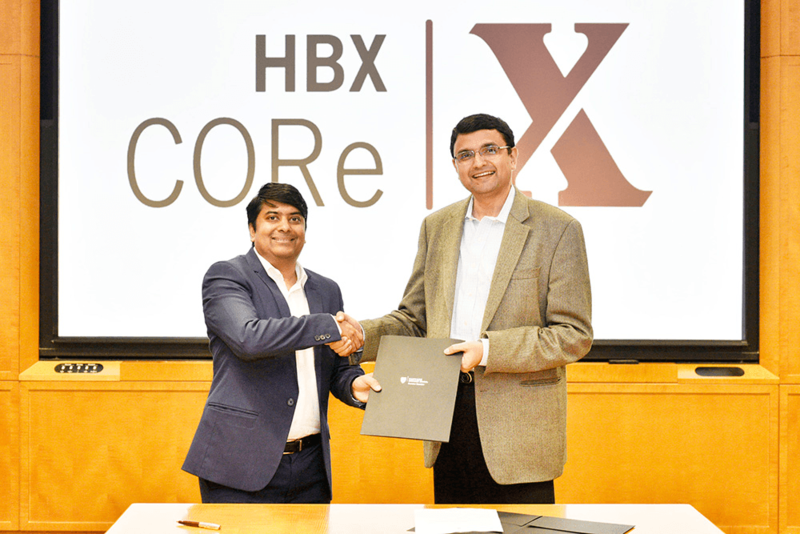 HBX CORe is a program that provides future business leaders the skills and confidence they need to succeed,” said V. G. Narayanan, Thomas D. Casserly Jr. Professor of Business Administration, Harvard Business School. About Audyogik Shikshan Mandal (ASM): Established in 1983, the Audyogik Shikshan Mandal (ASM) Group of Institutes has persistently turned out well-rounded professionals, who have gone on to become leaders in their spheres. This history of excellence is validated by the fact that ASM is consistently ranked amongst the top B-Schools in India. The key differentiator in ASM’s teaching pedagogy is sustained industry-institute interface through consistent calendar of seminars, conferences and events that imbues the students with unmatchable industry experience and exposure. The ASM Group of Institutes which offers learning options from KG to Ph.D. boast of state-of-the-art infrastructure, which includes Wi-Fi enabled campuses, sporting facilities, well-stocked libraries, computer centers, and classrooms equipped with the latest in technology. ASM placement cell has a stellar track record - 55,000+ alumni working with top-notch MNCs in India and abroad. More details can be had by visiting www.asmedu.org.